Cmi Discovery Newspaper OUT NOW! Cmi Discovery Newspaper OUT NOW! Read here. 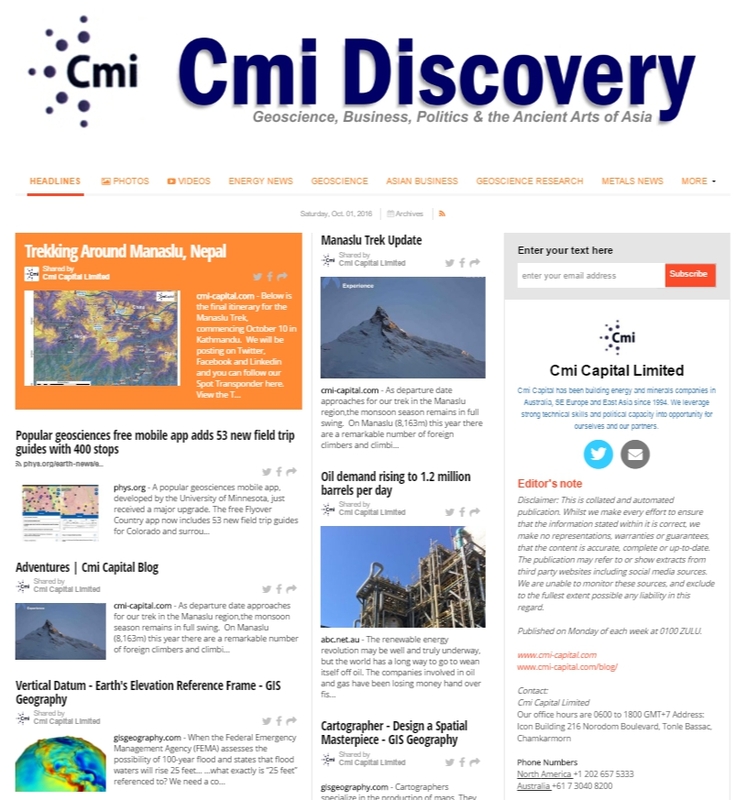 This is a curated news source with a focus on SE Asian business, energy, metals and geoscience. to all those who have contributed – thank you for your content. Cmi Discovery Newspaper OUT NOW! "SE Asia News" "Energy News" "Metals News" "Geoscience News"